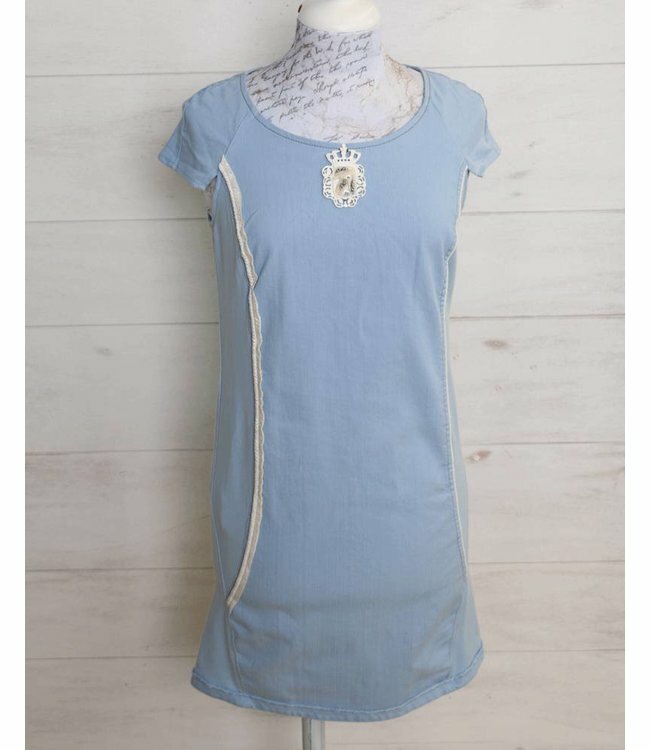 Light blue straight-cut dress with a zip at the back and a slightly stretchy cotton inset on both side panels. The front is decorated with a handcrafted accessory as well as taupe and gold-coloured visible seams. Light blue straight-cut dress with a zip at the back and a slightly stretchy cotton inset on both side panels. The front is decorated with a handcrafted accessory as well as taupe and gold-coloured visible seams. You can also find the matching blouse jacket ELP171004604 col. 16027 Marea in our Shop.